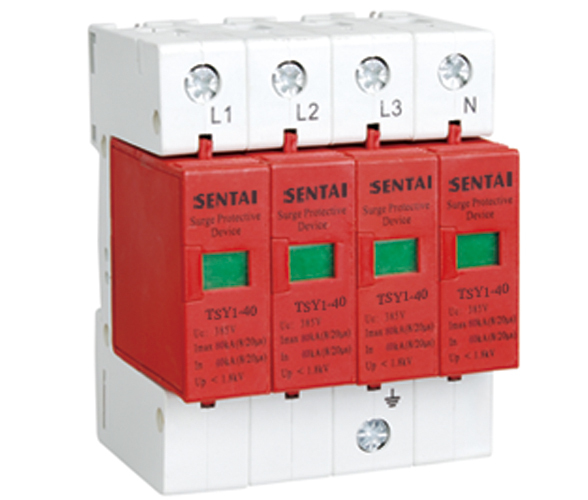 Circuit system will bring the strong pulse voltage due to the Thunder strike or other reasons, which will destroy the electric equipment. 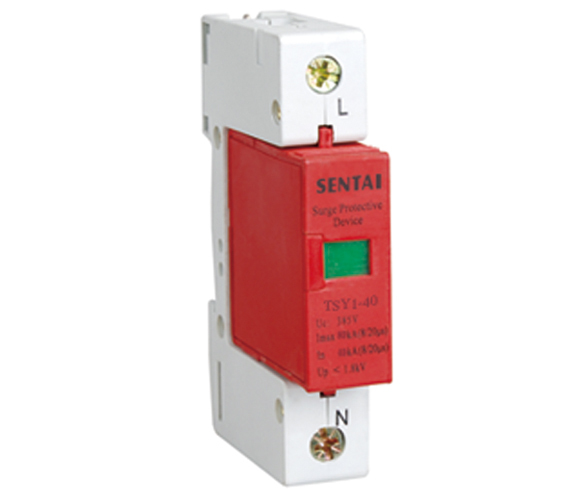 Under popularization of computer and Micro-electaronics, people pay more attention on the over-voltage protection of low voltage circuit system. 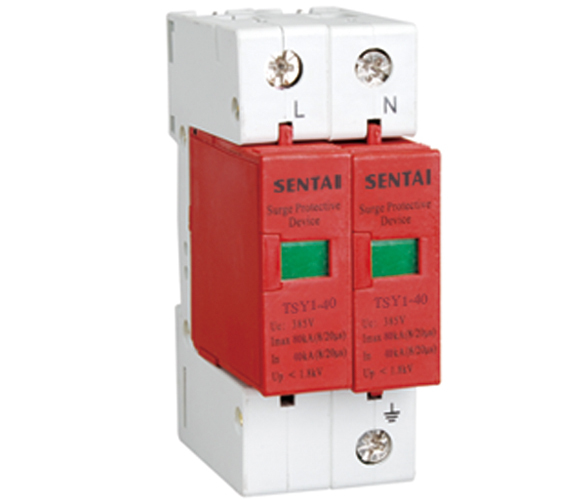 TSY1 type Surge Protective Device (SPD) is the exact product to protect this kind circuit system. In the system of three phase four line, there are SPD between both 3 live wires and the neutral line connecting with the earth (Ref. Chart 1). 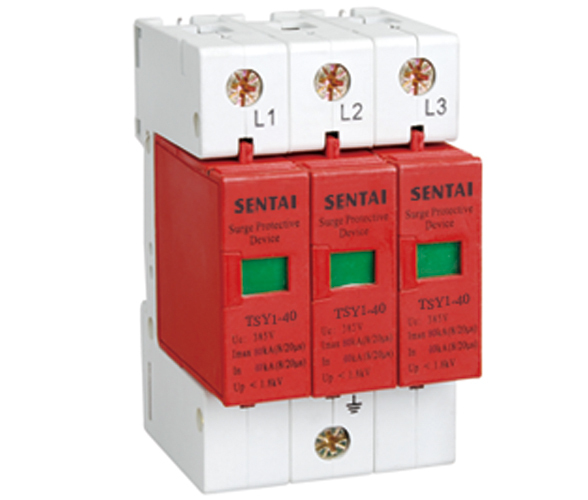 Under normal condition, the SPD is in the status of high resistance, once circuit system bring the surge over voltage due to the Thunder strike or other reasons, SPD will put through within ns (Time unit) and lead the surge overload voltage into the earth to protect the electric device on the wire. 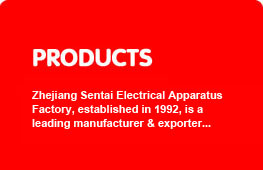 After make the surge voltage disappear, the SPD will change back to the resistance status which will not effect the normal work of circuit system.